I have set up a 'Plea for Help' bulletin board for Jamaica, for people looking for specific info. Do you think you can help other people, please check it out as well...: stormcarib.com/help. Many people post little tidbits of information there as well... There is also a bulletin board at Jamaicans.com, TreasureBeach.net and JAMPACT.org has some very good info as well. 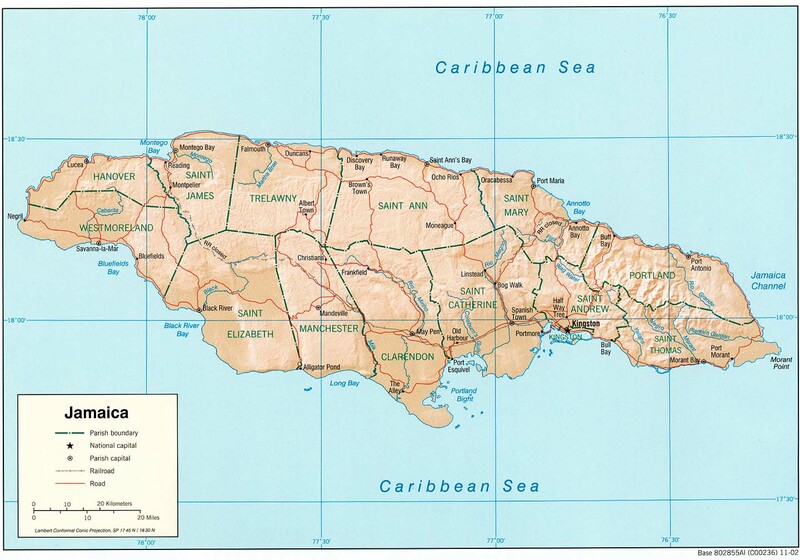 Another detailed map can be found on the caribbean-on-line website. Power106FM Radio is broadcasting from Jamaica. Listen in at www.go-jamaica.com/power/. Apparently you can e-mail them at power106@cwjamaica.com or call (876) 968-4901-3 to ask about loved ones' whereabouts. Well, Jamaica is now licking its wounds. start to clean up. I even saw one very, very little bit of sun. All in all we had a lot of good luck because of the eye not passing us. But it is still more than we will be able to handle alone. I think the worst is the water which came with Ivan. We were just able to make contact with the parish of St Elizabeth. It is a bad, bad scene. They got hit hard, the parish is not accessible, every where is flooded. cultivation including the hardy sugar cane that normally can take a lot. Lifestock that drowned will have to be removed fast. that doesn't mean that they are harmed. Unfortunately it is true that looting takes place not only in Kingston. If they went with the storm, nobody here would shed a tear. furious to have such elements in our beautiful country. But they are a small group that will hopefully be weeded out soon. That was a sound decision by our Government. homes and agriculture is very, very bad. Schools will be out for some time. Basically the same picture is in the parish of Clarendon. equipment available to clear roads. That is where all of you jamaicans abroad come in. My heart goes out to Cayman and I pray for them. P.S. the airports are open and Air Jamaica starts flying today. London, Miami, Fort Lauderdale, other airlines start to come as well. because all the leaves are gone but...soon come, mon. Later. causing destruction of house, flooding and damages to properties. the Victoria Building Society NU# 10213080. Updated reports on the impact on Jamaica may be read at www.cdera.org. was...the mighty hand of God!! i Jamaica. The cruise ports in Montego Bay and Ocho Rios reopened Sept.
open; Sunset Jamaica Grande in Ocho Rios will reopen as planned on Dec.
Oct. 1; Couples Resorts in Negril reopens Sept. 19. Hurricane Ivan as it passed South of the Island, September 10-12.
shelters and to find alternative accommodation for those housed in schools. equivalent to approximately JPY12.2 M (USD111,000). officials in Jamaica on the current situation, today September 16, 2004.
off as lightly as we did here. the schools will reopen on Monday. helped somewhat, but as always some people can be heartless. however that we are "out of many, one people". countries impacted by Hurricanes as of noon today. the day Wednesday due to the closure of the Owen Roberts International Airport. soon as it is safe and possible to do so. mobile service are up and running. damage and both the Montego Bay and Ocho Rios cruise ports will reopen today. accepting any new arrivals until Sunday 19th September at the earliest. one year for the number of nights interrupted. nights, in which case they will be refunded for the interrupted nights. Alot of persons in Kingston are trying to pick up the pieces from the onslaught of Hurricane Ivan. Although we did not get the full force of the hurricane, the devastation says otherwise. Earlier this morning the Jamaica Public Service Company (JPS) announced that electricity may not return to some places until mid-October while the National Water Commission (NWC) announced that water is ready however, they have to wait on the electricity. So it is now a waiting game for many people - many unhappy and angry persons I might add. The radio talk shows are inundated with angry callers demanding to know when exactly they will receive electricity. Those lucky few who live near essential service places like hospitals have already received light and water and are helping those who don't such as family members and friends. In other news, the extent of the looting during and after Ivan is taking an ugly turn. Just this morning it was reported that beds donated for use in shelters, specifically for the elderly, were stolen and now the old folks are sleeping on the cold floors. Some schools have reopened and the Jamaica Teachers Association (JTA) are requesting that the Ministry of Education extend the school semester by another week to make up for the time lost as a result of Ivan's visit. The University of the West Indies (UWI) has closed its doors to the school population until further notice and some hotels along the North coast have temporarily laid off staff until they have their hotels up and running again. The restoration and recovery phase of the post-Ivan period will be a long and drawn out process. Already price hikes are the talk of the day with meat prices going through the roof and bread now a delicacy it seems - as soon as the breads are out of the oven they are sold off in the bakeries across the island. Island Grill, KFC and Burger King are flocked on a daily basis by hungry patrons. On Sunday, September 12, the line from inside KFC in the Springs Mall off Constant Spring road was bulging through the door, while other KFCs in Kingston were letting in customers in groups of two and three. The Coast Guard are now searching for 33 persons, fishermen, who remained at the Pedro Keys during the hurricane, although they were told to leave, who stayed to protect their property. It seems during the hurricane they realized how wrong and dangerous it was for them to have stayed and tried to reach land/ride out the storm by going on a boat. Only 2 persons were found at sea and now there is a search for the capsized boat. Several private companies, like Supreme Ventures Limited, National Commercial Bank and the Bank of Nova Scotia, have pledged millions of dollars towards the recovery effort such as the rebuilding of several schools. The Prime Minister announced the formation of the Office of National Reconstruction, a new agency within the Ministry of Finance, to be headed by Mr. Danville Walker of the Electoral Office of Jamaica, to specifically deal with the recovery aspect of the post-Ivan period. The organization will work with all relevant overseas and local organizations to find the best path to recovery. Currently, the State of Public Emergency is still in effect and there is a curfew on in the DownTown Kingston area due to a flare up in the tension between Tivoli and Denham town. The country on a whole is applauding the move by the Prime Minister to put in effect the State of Public Emergency when he did, which many concluded curbed the looting during the hurricane. Although the leader of the Opposition, Mr. Edward Seaga, came out vociferously against the State of Public Emergency only minutes after the Prime Minister's announcement on Friday/Saturday, he is now very quiet on the matter despite his promise that he will be making his opposition known on Monday. Several places across the island are now being deemed disaster areas such as places in St. Elizabeth and St. Thomas however, the relevant organizations such as the Office of Disaster Preparedness and Emergency Management (ODPEM) are still doing Damage Assessments. However, as the Prime Minister announced, damages will ring into billions of dollars. I will have further updates in the coming days. In the meantime God bless our Country and pray for us! WALK GOOD!!! I am providing the following information for people who like to make contributions directly to two reputable world known organizations that help countries in disaster all over the world: crossinternational.org phone#800-391-8545. Also, Cross International has arranged to secure an oceangoing tanker of water to be shipped from Dominica to Grenada and will be doing much more.See Website(2) worldvision.org phone#800-777-5777.Please note, World Vision is helping Jamaica right now and they would provide further information about Grenada. I really appreciate your time and effort in getting this message out ASAP!! I must tell you how thankful I am and I know everyone else using your site. together an email for you. since 3:00 p.m. on Friday afternoon and the rain only stopped at 4:00 p.m.
just affected by Charley as well. would have been included in this description. Very sad. friend (Binns) in Goshen area. There is ankle deep water in her house. it's difficult to hear about other areas. STETHS (high school in Santa) lost some of its roof. Burnt Ground and areas next to it very bad as well. seems every one was fallen. Every leave ripped from those still standing. Will keep you posted on news I hear. We'll be updating TBNet as more info comes in. coastal roads in the east was primarily due to storm surges and flooding. There were also reports of persons trapped in homes due to roof collapse. infrastructure. Numerous landslides across the country are also being reported. Barbados Amateur Radio Society, specifically for communicating with Jamaica. remains on standby to assist Jamaica if the situation changes. I couldn't get this posted so maybe you can. I have just spoken to my sister in Santa Cruz. The cell phones are back. Prayers and Blessings to all that have been affected. On Saturday afternoon following the onslaught of IVAN, on Friday night to Saturday morning, I took a drive around Kingston and St.Andrew and have a few photo to show. In my estimation Ivan delivered much less that I had expected. For the most part there were downed trees and some damage fences and roofs - Ivan was terrible to trees. At my office at Cable & Wireless NPW on the South Western side of Kingston we lost 19 trees but the building was intact and the stockyard and it's content - in the open - was in impeccable condition. I must say thanks to my staff who worked up until 6pm on Thursday (despite the official closure at 1PM) to properly secure the items that would have been in the open. During my drive around the worse effect on electricity/telecom lines were in Hellshire where on the main road most of the poles were down. Surprisingly my friends in Hellshire could still be reached by their landline. Electricity and water is still out in all areas. Most telephones lines - landline and CW Mobile - work. Attached are some pictures of Hurricane Ivan – during the storm and after the storm. Like I said, lots of downed trees but you can see from these pictures that the homes are still in very good condition. Notice the satellite dish is sitting in the top of a tree. It blew off the roof of the house behind the dish in the picture. As you can see – we were very lucky in Kingston. On the drive to New Kingston, the damage seen was the same as shown in these pictures. Some street signs and billboards were blown down and lots of trees and tree debris – but buildings were still in very good shape. Thanks again for everyone’s prayers and thoughts. My prayers are with the people of Cayman and the states. Maybe the same miracle that saved Jamaica will save Cayman from this now category 5 storm as well. My heart still goes out to Grenada – that island is truly devastated. All Jamaicans should realize how lucky we were by simply checking out the destruction and damage our sister island suffered. 4:45pm – The worst of the Ivan has passed us in Kingston. We are still being pounded with heavy rain but the wind has died down to a medium breeze – still gusty at times but nothing in comparison to last night’s winds. We have been able to get out and drive through New Kingston to assess the damage to our office. Kingston has fared the storm well. I did not see any structural damage to homes or offices other than a few windows that were blown out of the Hilton Hotel and tiles blown off of a couple of roofs. There are trees down blocking several roads but I didn’t see any power lines or utility poles down. I am hearing on the radio that 11 lives were lost due to the storm. We in Kingston are very lucky to have been spared the worst of Ivan. Could it be that those majestic Blue Mountains interfered with Ivan’s path and steered the storm south? The power is out everywhere so we are operating off our generator. I have been in touch with our friends in Port Antonio and they are reporting the same type of damage we have in Kingston – downed trees blocking roads and a couple of downed utility poles. The Blue Lagoon is now the Brown Lagoon but the restaurant and dive shop are still intact. Very little damage to most homes but there were a couple of tin roofed houses that lost their roofs. I did take pictures during and after the storm and will download them soon and send them through stormcarib. Thanks for all the prayers and positive thoughts. They were answered in the fact that we were truly spared what could have been the winds that may have produced catastrophic results. I must say the radio stations and Cable and Wireless have done an excellent job of keep lines of communication flowing to those outside of Jamaica as well as those of us in Jamaica. 5. An initial assessment will be conducted after the all clear is issued. Disaster Response Unit (CDRU) team remains on standby. standing in their yard, fortunately, the trees fell away from the house. unconfirmed reports of 2 (two) deaths so far. phones are out, so they have not been able to contact any one that side. away.....now for Cayman! STAY SAFE! MSN Search! Check it out! Somehow we survived and lived through a night of extreme terror. fail me to describe the experience. miles p.h. for many, many hours more than predicted last night. passed to donate food to the shelters. That will not be before this evening. Somehow phone lines and internet systems have held up. "Big up" C&W of Jamaica and Digicel. They can certainly advertise their equipment as hurricane safe. flooded and mud slides are covering large areas. relocated in the height of the storm. How that was done I don't know as you cannot walk in 150 miles of storm. Cornwall and Kingston KPH and Jubilee. a Public Emergency, restricting freedom of movement and assembly. This is done to protect the citizens from looting. We are thankful for that as we feel a lot safer this way. adopts a no nonsense approach, we are thankful for that. nowhere to go and the winds and rain are pounding on. Almantown in Kingston is flat. The roads all over the island are inundated, bridges destroyed. Our hearts go out to Cayman and Florida. Please consider Ivan as the most dangerous storm you can imagine. Double check your preparations, you will need it. their lives as we have last night, psychology comes into play. Hold the children tight as they may be scared beyond belief. half way calm and stay together as a group. some of the strongest winds. Give Thanks! Ok folks it is 12:30am Saturday morning and Ivan is howling up a storm ... no pun intended! There are sounds outside that make gang wars and gun fights seem tolerable. 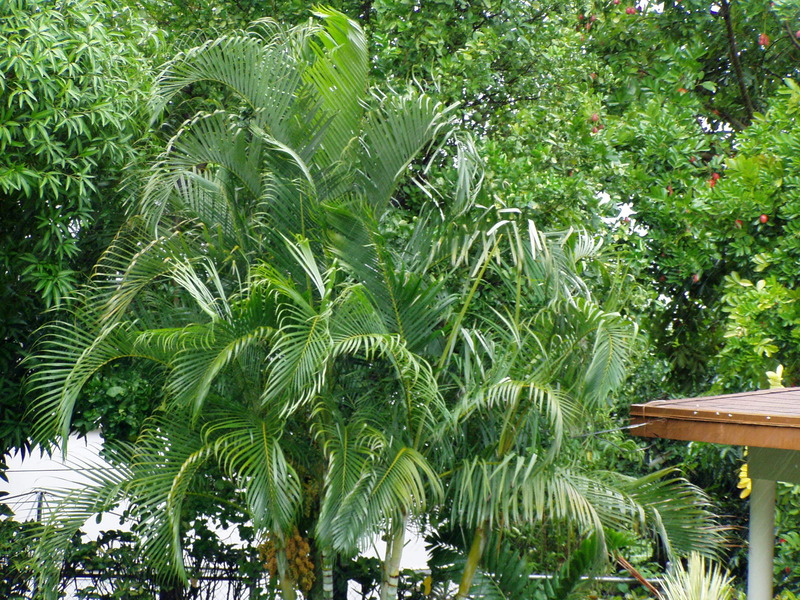 The winds have definitely picked up here in Montego Bay and things like trees have learnt to walk freely. No vehicles on the road at this time, minimal rain it actually comes in waves of medium drizzles. The wind however, is constant, consistent and makes the Gilbert of 1988 seem as if it was a whirlwind by comparison ... the fact that this is all happening at night, without power does not make it any easier to bear. In summary, I honestly can only write from what I hear outside, and from the sounds it doesn't sound like I will see much of anything in the morning. I can say that billboards that were in view of my house are gone with the wind. My car alarm has gone off numerous times just from the sheer force of the wind but I guess 140mph winds will do that to any vehicle! The news has just indicated that Ivan has reduced its traverse speed to 17kmh and that it should become a CCAT5 hurricane before it actually makes landfall. I should note that with all the noise and wind and all I have mentioned here, the storm is still about 90 miles way from montego Bay ... so in a sense its only just begun! For the persons who asked earlier about the hotels in Montego Bay, at this time I can just say that if they are by the sea, then they are going to be closed for a little while after Ivan is gone. The waves coming into Mobay were not small when the wind was lower, and now that it has really picked up I would imagine that the waves have also grown somewhat. The scientist in me wants to say that Ivan is the perfect example of a well composed hurricane system ... a beautiful storm, on the other hand, my human side will ask what gate of hell it escaped from. will probably be my last post until tomorrow, if we still have phone lines. To all our friends in Jamaica, stay safe and we will contact you Saturday. To all our family and friends elsewhere, keep praying! sewage facility in the area. Some sections of the island are without power. relief management and reconstruction if requested. the impact on Jamaica may be read at www.cdera.org. in Jamaica at 140km (87 mph). will forward it on. Stay safe and our thoughts are with you. I am Richard, and I live in Montego Bay. Whilst we are not sure how much longer we have electricity and telephone services, I'd just like to say that at 2:50pm EST Montego Bay is heavily overcast with mild to moderate wind gusting and sporadic but frequent rain squalls and medium intensity showers. There are still a few vehicles still on the road but they seem to be hurrying to wherever they are going.I am directly overlooking the Sangster Intl. Airport and have a 180 degree view of the coastline from my home. The seas are already looking a little more choppy than they were this morning and I guess with the hurricane this close one should expect this. Driving through by the sea this morning the water was calm and was like a sheet of glass ... never have I seen the water in Montego Bay that calm, never. It gives and eerie feeling of what is to come when the ocean wakes up later this evening. Our local news channel TVJ showed footage of 18+ foot waves in Kingston (the anticipated point of landfall for the eye if Ivan continues on it current path). The entire island is having rain and the Prime Minister has requested that the Governor General declares a state of emergency asap. All said, I think for those of us who remember Gilbert we have an idea of what to expect - bearing in mind that Ivan's sustained winds are as strong as Gilbert's gusts at the time! For the rest of the country where there seems to be stubborn persons, we may have a few persons who will learn the hard way and even more sadly who may not be around to put into practice what they may learn from Ivan. "You can't be afraid of stepping on toes if you want to go dancing"
to delete this email and all attachments from your system. Just starting to get some rain & heavy winds in Corporate Area. Advisory expects people to be off the roads by the latest 6pm. Portmore & Port Royal residents are at greatest risk of sea surge- from yesterday they were advised to evacuate. I am getting more e-mail than I can handle with people wondering what's what here. The news is there is no news - a little rain - no wind and the sea is looking a little angry. It is low tide now so it isn't alarming. All reports seem to be saying we are in for the worst of the worst on the south coast and I am sure they are correct but we don't see it as yet. The area is very quiet with everyone WAITING! And since Ivan has slowed so much it looks like we may waiting into the night. I think a bottle of good old Jamaican rum is called for. We still have power and phones so I will write as I can. homes. On Friday morning, 300 people were in shelters. or friends in mountainous regions. the Jamaican capital of Kingston. Here in Jamaica at 12:30 PM Friday September 10 we are still waiting on IVAN to arrive. The waves have been kicking up especially on the eastern side of the island but for the most part it is occasional drizzle to mild showers - no wind of significance. It now appears that it will be tonight before there is landfall - if at all. All persons in Jamaica should use these last few precious moments to complete there preparation. The wind gusts have REALLY picked up in the last few minutes. I am guessing they are now gusting around the 60mph range. Attached are some pictures, again taken from my current location as I can’t move about in the winds. You can get an idea of the wind gusts blowing the Palms and Coconut trees and the waters that are rushing down the road from the mountains. Our power is still going off and on – and believe it or not I can hear power saws and hammering in the hills. People are still preparing for the full impact even during these winds! Amazing! I want to get these out before we lose power for good. Keep praying for us – conditions are deteriorating quickly here. boarded up. The sea is getting pretty rough, but I have seen it a lot worse. Hi Gert, long time no contact but we did not have to. This time our luck ran out and that thoroughly!!! The Gamaican government tries hard to prevent the worst but they can only do so much. There are still people who refuse to move from flood proned areas and others who think “we will just get rain”. Most Jamaicans are very concerned and prepared as best they could. The radio stations are doing an exceptional job by keeping us abreast of will come and what is going on. Right now at 10:23 a.m. the rain has started and some gusty winds try to tell us that Ivan the Terrible is approaching. You hardly see birds, always an indication that something is not right, they know and flee. I saw flocks fleeing towards the east of us… wish I could fly. We need a lot of good luck to come out of this one alife. I have “to big up” the Government of JA. They are very prepared and if all people followed their advice, lots could be prevented probably not in the sense of material things such as houses but regarding loss of life. Will contact you again if the internet holds up. 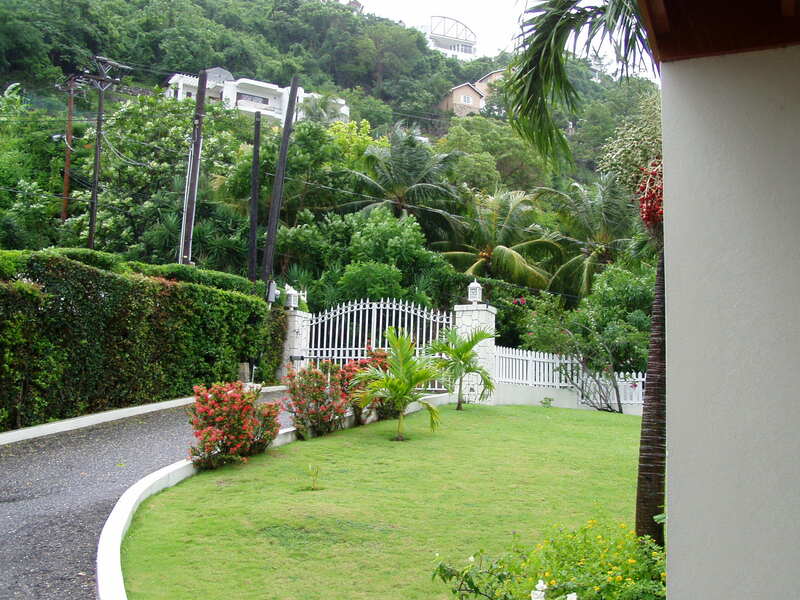 10:55 a.m. – we have just experienced power fluctuations in Kingston. The power has been going on and off for the past 5 minutes so I’m not sure how much longer I will be able to keep everyone updated. I know that people are very concerned about friends and family in Jamaica. Please know that everyone appears to be well prepared for this storm. Nobody is taking this lightly as far as I can tell. I am happy to give you updates via phone in the event that our power does go off for good and I can no longer keep updates via stormcarib.com. You may reach me via land line at 876.978.9563 – as long as the phones are working. The winds and rain remain the same as my last report – steady rain, heavy at times and bursts of gusty winds. The winds are still not steady in my location (Cherry Gardens, Kingston). The trees at the top of the mountain we live on are being bent by the winds but the trees around us are not being affected so much as yet. 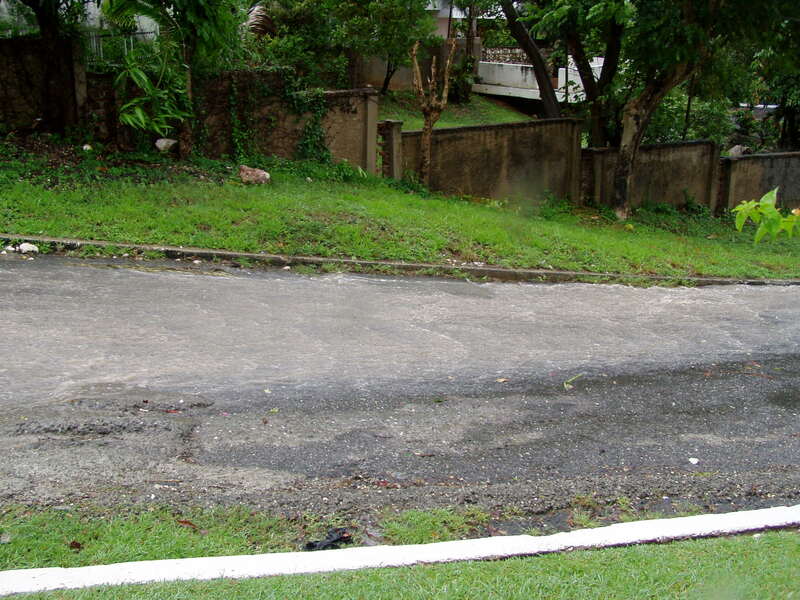 We have heard radio reports that Portmore is experiencing flooding and emergency evacuations are taking place. I can’t see Portmore from my location so these reports can’t be confirmed by me but they are being reported on the radio. We are also hearing that mudslides are taking place in Port Antonio – again, I can’t confirm these reports but I will say that we have dear friends who live in Port Antonio and we haven’t been able to reach them this morning so I am quite concerned. Updates will continue to come as long as things develop and I am able to access the internet. Thank you for all the prayers and well wishes I have received. 9:30 a.m. – The winds are increasing in Kingston. Still coming in bursts but more frequent bursts than at 6:00 this morning. Attached is a picture taken from the street in front of our house that shows the waves coming into the Kingston harbor this morning. We are situation in the mountains some distance from the harbor and the picture is at 8X zoom. More information as things progress on this end. O.K. - Still have power - I was misinformed, sorry. I will just report what I see from now on. The clouds are low and the sea is high. No rain yet. The breeze is a little gusty but still not unusual. The sea is the most remarkable thing right now - high and heavy waves. I hope all out fishermen are in and safe. More as there is something to report. 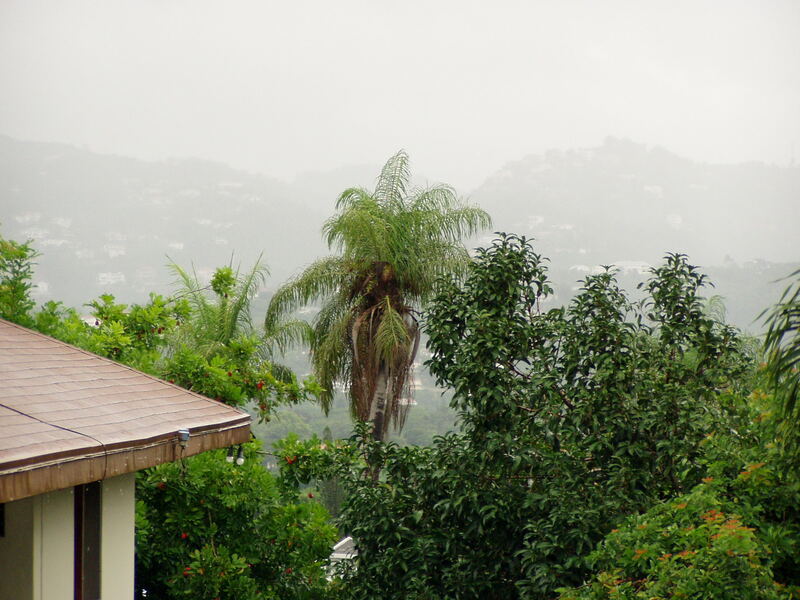 6:00 a.m. – The rain is coming down in Kingston but no strong winds as yet – oops!.....as I just wrote that some gusts are coming through right now. The cloud cover is eerie – dark with some light patches showing through and moving quickly. I will update as things progress. It’s going to be a long day in Jamaica. well, it seems the whip tail of ivan has begun affecting the island of jamaica. evacuated from  flooded homes to shelters setup within the parish. At approximately 9:42 pm in Jamaica thing here are pretty calm no rain as net, with sky looking a little reddish in color and persons near and in low pond area moving to higher grounds along with elderly persons. While others are seen batting down windows roofs,cutting down tress,etc. Hammers are still been heard on house trying to secure them form the hurricane in the hours of 10:05 pm. 500,000 person are expected to evacuate to shelters in Port more. St Elizabeth was affected by the storm that pass Jamaica a couple of days, leaving farmers Fields flooded. The grounds are saturated by waters. As things happen i will let you know. It's now 9:00pm and you could literally cut the tension and anticipation in the air, evacuations and emergency planning's are well on the way and we are as ready as we can be for whatever Ivan will dish out. It is now dead calm no wind or rain in Kingston, we all know this is a deceptive facade by Ivan but we will not be fooled, we are a resolute people and we'll survive, we may be knocked down but not out we'll pick ourselves up and rise from the debris and dust. I thank you all for your prayers, now we Wait. Hi All - It is quiet here but I just got a call that the power may be going to be turned off island-wide soon so I wanted to let you know that it is still very quiet here in the West. The night is as still as they get, the sea is calm, the stars are out - but we heard hammers pounding until after dark. The neighborhood is getting ready. So you may not hear anything from us soon but for now...all is well. At 5:10pm (central time) the clouds from the very outer bands of Hurricane Ivan are starting to cover Kingston. Some thunder can be heard in the distance but so far just a gentle breeze and bit of sprinkling. It seems as though all in Kingston are taking this hurricane very seriously. All of our neighbors are boarding or taping up the windows of their homes and moving all objects that could become flying missiles during the winds inside. I will keep you posted as things develop in Kingston. We don’t expect to get the tropical storm force winds until early morning hours here – around 5-6 a.m. We are in touch hourly with the US Embassy in Kingston to get the latest information on the hurricane. Attached are a couple of pictures just taken as the clouds move in. 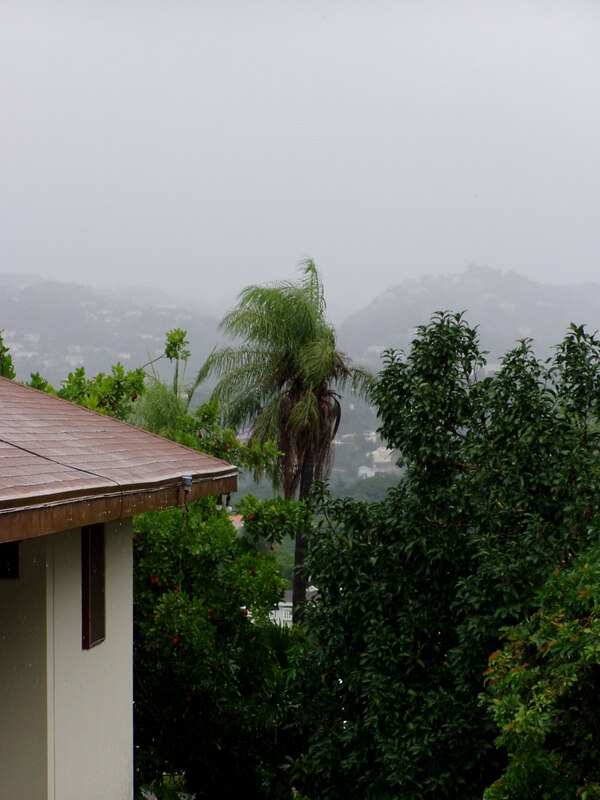 I will continue with photo updates as the storm progresses so you can have a feel for what Jamaica is experiencing. Well - the warning is issued and everyone seems to be very busy getting ready for the worst, as Ivan sounds to be. It is hard to imagine right now - it is a perfect day here - but one look at the satellite view has convinced me. The words "when Gilbert..." with Gilbert..." are flying through the air with those who are old enough to remember and they don't want to go through it again. No one needs reminding that Gilbert was a Cat. 3 storm and Ivan is 5. We will keep you posted. during the early evening hours�..but all is quiet now. 2. The Emergency Operations Centre in Kingston is being activated Thursday. hurricane force conditions are likely within 36 hours. forward movement during the next 24 hours on his approach to Jamaica. 5. Maximum sustained winds are 145 mph and further strengthening is expected. storm force winds to up 160 miles. days so there are heightened flooding concerns. about how my friends in Barbados would cope.